Caterina Bonavera had a solid plan. To move up the line from sous chef at one of New York City's top restaurants and then open one of her own. Moving back to Virginia to help her sisters run the family winery had been nowhere on her radar. But neither had landing the head chef's job at a popular local restaurant upon her return, only to find herself unemployed again after three years; nor getting romantically involved with a man who proved her ability to judge one's character hadn't gotten any better than her ability to fly by flapping her arms. Caterina's confident she'll get her life back on track with Serendipity, the boutique hotel and restaurant she and her oldest sister Lucia were opening at the end of the summer, but that's almost a year away, and meanwhile, she's forced to deal with Liam Dougherty, the surly contractor building the restaurant of Caterina's dreams. Liam gets along fine with everyone else, but it's clear to Caterina that he's disliked her since their first meeting, and she has no idea why. To complicate their already tentative working relationship, Caterina begins to develop an unwanted attraction to Liam. She tries to counter it by avoiding him, but then she discovers something that changes her opinion of him completely, and along with it, her desire for the one thing she wants most in her life. Will trusting Liam turn out to be another mistake when it comes to the men in her life, or have her prior mistakes been leading her to him all along? "This was one of those good feelings books. This is the first I've read of the Bonavera sisters novels, but with just reading this one, I look forward to reading them all. 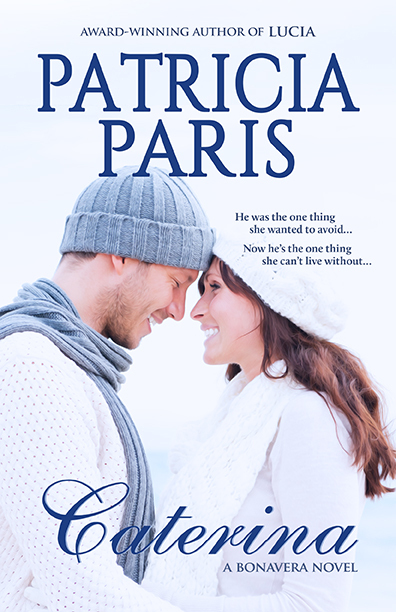 This novel was full of love, laughter, family, food and mystery…Patricia Paris did a wonderful job putting this little feel good novel together. 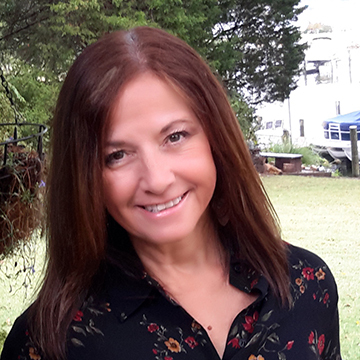 She left the mystery until the perfect time, she let the love unfold, and gave a happy ending…I cannot say enough good things about this novel and will recommend it with joy as a feel good book of the season." "CATERINA is a delicious romance to snuggle up with during cold evenings in front of my fireplace…and I highly recommend any fan of romance to do so. " "…well-written and entertaining with plenty of romance to satisfy. I’m looking forward to the next book in the series." This book was so fresh, fun and… I enjoyed it immensely from beginning to end. The writing was very well done and I didn’t want to put this book down for a minute. 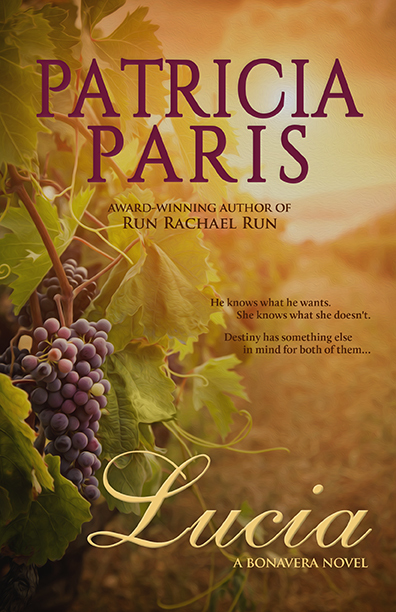 Ms Paris has a knack for really painting a picture…an excellent story about food, family, wine and love. "